Effective Online Marketing can Expand your Audience Globally; Here is How! The world is a big place, but it’s been made so much smaller, thanks to digital technology. These days, businesses, brands and start-ups can enjoy a global presence as long as they play their cards right. The global market is expanding every year and research shows that more people, especially in the developing world, now have access to the internet. They are also increasingly spending their money online, providing ample opportunity for start-ups to offer their goods and services to clients situated in different parts of the world. You can imagine the immense exposure and opportunities your brand will enjoy as internet connectivity continues to open up more markets. This is a good reason why you need to spark up your business, brand or start-up with strong online presence. The first step to establishing your presence online should be the creation of a website. Your website serves as the digital face of your brand and should be well designed and functional to make a good impression on your clients. You can also use blogs, apps and social media to make your online presence known. In fact, these are required for every business that wants to reach as many people as possible. 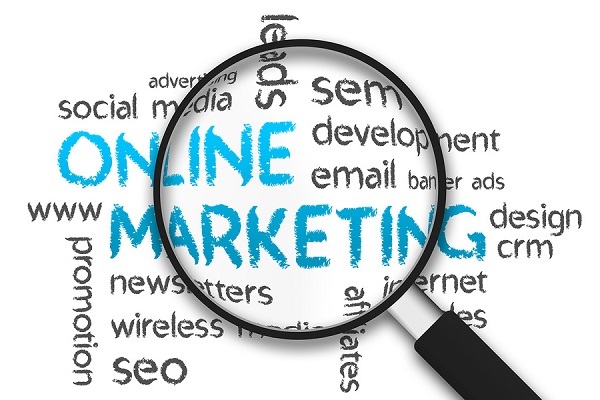 Research your target market thoroughly before launching your online marketing strategy. This will allow you to better understand their culture and lifestyles so that you can come up with a marketing campaign that will be a hit in the new market. Research also allows you to check out your competition and see what has worked for them. You can then modify and adopt this to your advantage. The right advertising channels will help you build your global audience quickly. The channels you select are dependent on the target market and note that there are so many ways to advertise online, that's why you have to choose the one that's right for you and your business. The easiest way to advertise online is through Social media ads like Facebooks Ads, Google Ads, Twitter Ads, the new Instagram Ads etc. The most interesting part is that you can easily setup these ads yourself and get the maximum exposure you've been longing for. Better still, affiliate marketing and endorsements are also effective in online advertising. Both of these methods require you to get people to do the advertising on your behalf. Endorsements can be highly effective, especially if you get key people such as celebrities, influential bloggers or individuals with large followings on social media to endorse your brand. You won't believe the immediate spike in sales and exposure you'll get if you try this. There is no doubt that social media is really effective when you want to expand your audience globally but you must use it the right way to get the right result. Focus on putting up engaging and interactive content, not just on sales else you'll be tagged a desperate marketer or even spammer and you'll end up hurting your business. When used correctly, social media can help you create brand awareness as well as promote your corporate social responsibility to win you more clients. I've personally tried so many Social networks but I have a huge turn-on for Google Plus and Facebook, so you might be interested in making good use of them too. With all the points clearly highlighted above, I know you've seen that online marketing can expand your global audience for real. However, you need to ensure that you engage positively with your target clients as you use appropriate marketing channels to get your message across. I wish you success in taking your business, brand or start-up to where you want it to be. Do you have some other tips you'll suggest? We'll like to know about them. The comment box is available for all your suggestions and contributions. Don't forget to share this post with others. Have a wonderful day!